Product prices and availability are accurate as of 2019-04-21 06:22:37 UTC and are subject to change. Any price and availability information displayed on http://www.amazon.com/ at the time of purchase will apply to the purchase of this product. 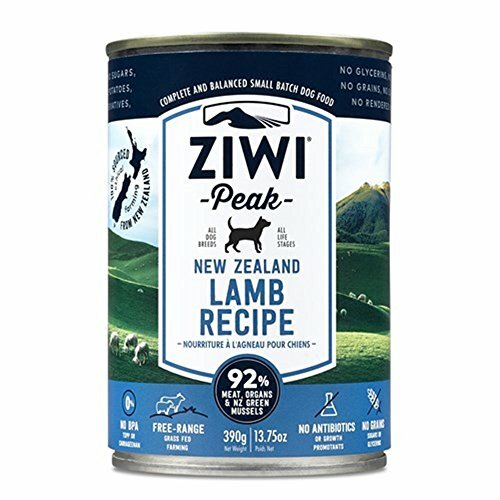 100% single-sourced Lamb that is free-range and grass-fed on ethical and sustainable New Zealand farms. Our lamb is free of antibiotics, growth promotants and added hormones. Includes 3% New Zealand Green Mussels, which are a natural source of Chondroitin and Glucosamine that supports joint health. Our complete & balanced, limited ingredient formulas include 92% fresh meat, organs, bones and green mussels. Made as a chunky loaf style, with a high level of all-natural protein and moisture to entice even the pickiest eater. We NEVER include grains, rice, corn, soy, potatoes, wheat, fillers, sugars, glycerins, rendered meals, preservatives, TSPP, BPA, Guar Gum, Agar Agar or Carrageenan.